Schiffbauergasse - On the screen, in the dark space and in the heat of summer, the overlapping heads of two women move slowly; one woman's head is covered with a black headscarf, the other has her hair loose. There is a murmur of voices, fragments of words, scraps of sentences, at times in Polish, sometimes in German: "...terror, the crowd around me..." And then a woman's hands rise to tie the headscarf around her hair; the bands of fabric overlap and partially cover her face; one head bends backward, the other, endlessly sad, inclines forward. 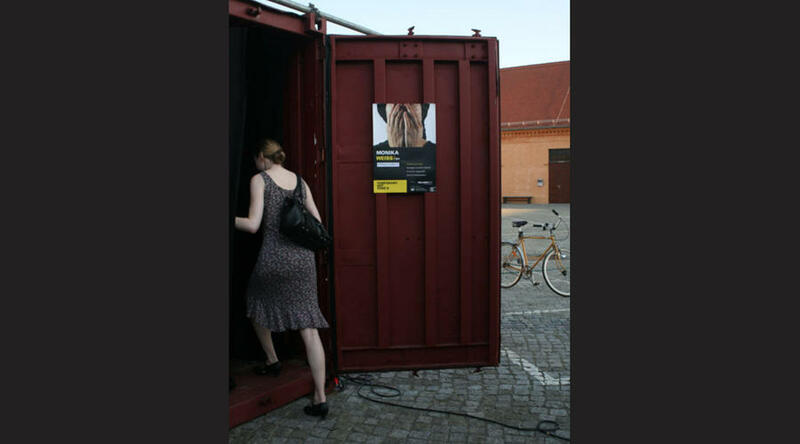 This video installation, Sustenazo (Lament I) by Monika Weiss, is being presented at an evening opening by the art association Troll Art Works in one of two large container spaces. The first container space, which opened last year for the "Temporary Art Zone" (TAZ) project as a gallery with an outdoor area, is now a bar with umbrellas, pillows, sand, and sun. 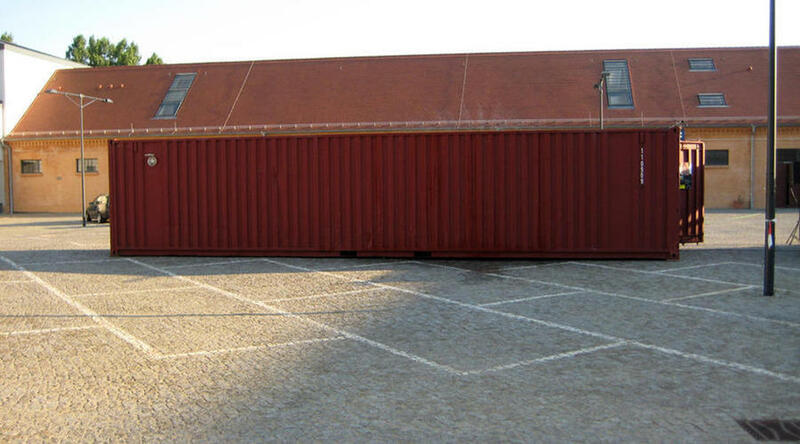 The art projects (four solo exhibitions have been announced including Weiss) are presented in the second space, a heavy shipping container transported here a few days ago. Weiss's dark video installation, hidden within the container, contrasts with the bright blazing heat of summer that dominates the square at midday. 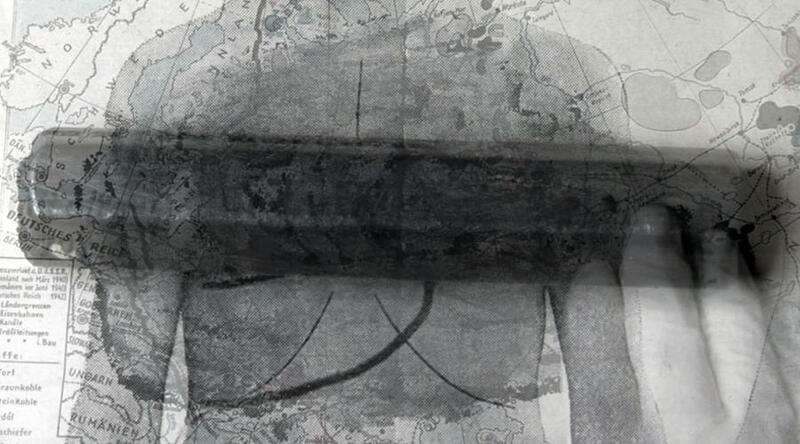 This is the second time that the artist's work has been on view in Potsdam. In 2005 she presented a video/installation and performance project in a solo exhibition at the Inter-Galerie, whose curator, Erik Bruinenberg, is also responsible for the TAZ art program. Weiss's series of film sequences with lamentation as the overarching theme is divided into three parts. The scene with the two women's heads is followed by one with medical instruments. Instead of fragmented voices, one now hears a lamentation sung in feverishly bright style. A syringe appears, held in two hands wearing white rubber gloves. There is a black cartridge, a scalpel for a lung operation. An open textbook, labeled Herzbeutelwassersucht, gives way to an old map of Europe showing the central portion of the German Reich and, where Poland should be, a black shaded area. To the right of the map we seem to decipher the words "Military Police" in Gothic script. Monika Weiss' video installation was inspired in part by a painful event that took place in what is now a contemporary art museum in Warsaw, which during World War II was a large hospital, and where her installation was first presented. In August 1944, shortly after the Warsaw Uprising began, the occupying German army ordered an immediate evacuation of nearly two thousand hospital patients, who were driven out into the streets in a grotesque act of revenge; many of the seriously ill patients died shortly thereafter. An eighty-year-old Polish woman, who was a young nurse at the hospital, tells the story in her native tongue. In Weiss's work we hear fragments of her narrative, broken up, overlaid with another woman's voice reading passages in German from the second part of Goethe's Faust. With these verses the film ends as two hands slowly release the face of the female performer, a woman's voice reading sentences such as "Everything is transitory is only a parable," now broken up and altered again and again, overlaid with the dark murmuring voices of a chorus. Finally, the woman bends her head forward under the black headscarf and sinks to the ground. What remains is the empty white wall.